In January, the Ifo Institute for Economic Research reported that Germany has the largest current account surplus in the world for the second year. Germany’s surplus, caused by imbalances in its flow of goods, services and investments, is a staggering $287bn and eight percent of its GDP. This far exceeds that of global trade giant China, which stands at $203bn. In response, German Chancellor Angela Merkel has argued that Germany cannot control the fluctuations of global supply and demand or euro exchange rates, which contribute to the country’s surplus. That said, German consumers do have an effect. As explained by Professor Stefan Kooths, head of forecasting at the Kiel Institute for the World Economy, Germany’s ageing population is saving more: Germans saved 9.95 percentage of their disposable income last year, a figure that is substantially higher than that of other world economies, and in turn contributes to the surplus. While Germans are not spending much less than other countries, standard domestic consumption cannot offset the impact of this kind of trade imbalance. By 2015, foreign direct investment from German banks was over €1trn ($1.25trn), compared with well under €500bn ($623bn) invested at home. A sustained drain on investment might see German industry lose out to overseas rivals. With these concerns in mind, the German Government commissioned the Kiel Institute to evaluate various policies to cut the surplus. It advised cutting corporation tax as the most effective method, as it could attract more foreign investment. This has become particularly attractive after recent US tax reforms, which are expected to lure more investors to the states. Alternatively, the German Government could encourage foreign investment by boosting the notoriously low rates on government bonds. With Germany’s surplus continuing to increase, the IMF’s suggestion that spending on infrastructure can improve investment prospects is timely. As the bloc’s largest economy, Germany’s crumbling transport links are more than a national inconvenience – the more inefficient these become, the less attractive the country appears to foreign investors. While certain factors such as domestic savings rates and wage levels will change gradually over time, boosting infrastructure would be a sure method to ease some of the excess immediately. 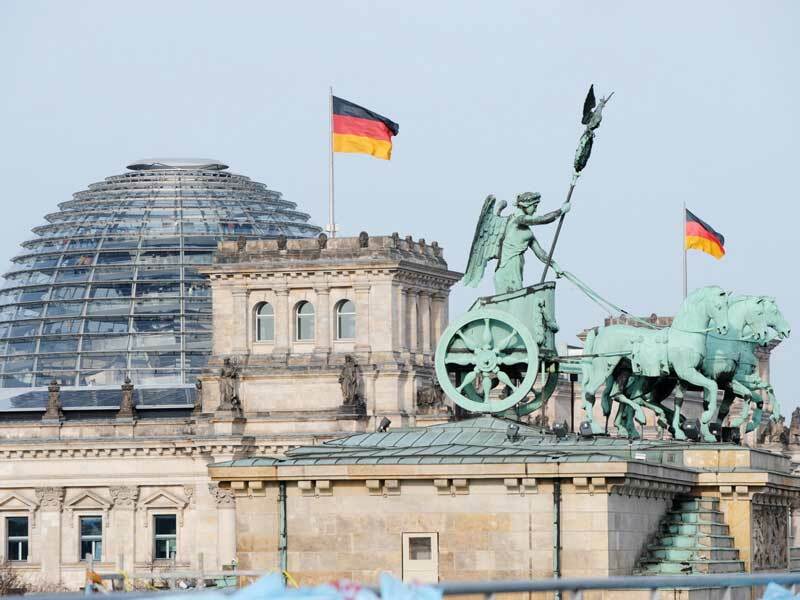 Ultimately, the bloated surplus stands no chance of reduction without decisive action to draw investment back to Germany, while revamped infrastructure would be welcomed both by Germans and foreign investors alike.